Often the collateral materials you provide a client or colleague are what leave the longest lasting impression. Whether you are an attorney, realtor, corporate officer, educator, salesperson, or other business professional, the quality of your document folders are a direct reflection upon you and your organization. 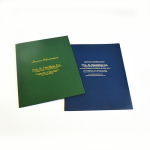 Make a memorable impression when you use document folders that are professionally printed by Printing By Johnson. We offer complete graphic design and layout services, as well as custom features such as embossing, raised printing and foil. While what you say during your presentation is important, it’s your collateral materials that leave your audience with a tangible lasting impression. Whether you are an attorney, realtor, corporate officer, architect, educator, salesperson, or other business professional, your presentation materials are a direct reflection upon you and your organization. 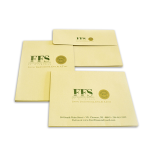 Make a memorable impression when you use custom presentation folders that are professionally printed at Printing By Johnson.